Timezone - dont stalk me1!!!!! Discord (Y/N & Tag) Ex: isPep#0001 - yes bitatchhhH!!111!! Player vs Player rating (1-10) - 6 or 7. Do you use BLC? (Y/N) - No, I use a custom modpack as I'm that weird person who hates the look of it compared to the freedom of your own. Do you get easily triggered? (Y/N) - Not really. Except if some rand pings everyone in the discord over and over lmao. Have you bought anything from the Skycade store? (Y/N) If you have purchased an item(s) list them - Gold&Diamond rank and a colour. I cannot be AFK kicked. How long have you been playing Minecraft? - Don't even know, 2011/12? Previous faction(s) - Do you even want to know? Pufferfish, A Cannoning side faction, Strafe, A alt faction, mercy and rand facs that turned out absolutely trash. Have you ever insided a faction? - Nope. Average FPS - Currently around 60-120 but I'll be getting a new pc Asap. Hours of participation during the weekend - It really varies, 14 or smth? Can you participate in daily airdrops? (Y/N) - Most. Are you able to keep above 24 power when logging out? (Y/N) - Nearly all of the time i believe, yes. Why do you want to join Resistance? One sentence minimum - I have grown inactive and have no purpose/anything to do on the server, I'm looking for a new faction to get me back into Sky. What makes you different compared to everyone else? One sentences minimum - I have slightly higher skills than the average factions player and have more knowledge overall (Not that I'm unique).. I just hope i can get in this faction and help out a lot. Base building advanced technique (1-10) Ex: Regen - wut? Player vs Player rating (1-10) - 7. Raiding (1-10) - I personally make my very own cannons, so 7. Proficiency w/Schematica mod (Y/N) If not state the reason - Yes. Do you use Forge? (Y/N) - Yes, 1.12. Do you use BLC? (Y/N) -No, I do not, as I highly do not like the concept of exploiting. Are you able to record? (Y/N) - Yes! Do you get easily triggered? (Y/N) - No, I do not I am a simple and calm person. 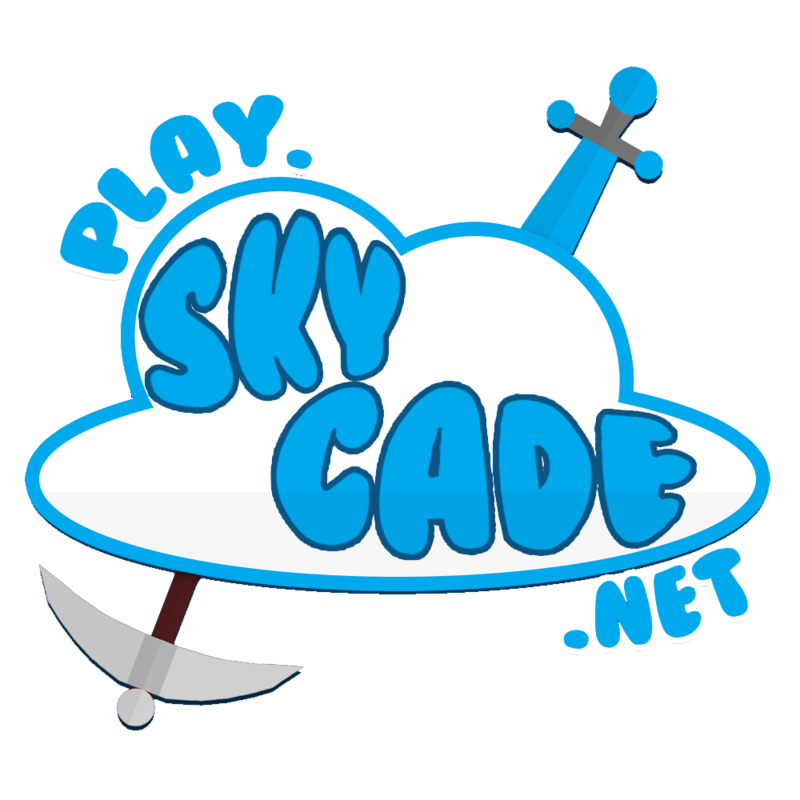 Have you bought anything from the Skycade store? (Y/N) If you have purchased an item(s) list them - Nope, I am not a person to spend money on a virtual game. How long have you been playing Skycade? - A year or so. How long have you been playing Minecraft? - 5 years, starting from when I got it on December 25th/My birthday and Christmas. Have you ever been banned or muted before? (Y/N) If you have been punished list them - No, I have not ever on Skycade or any other servers have I been punished. Have you ever insided a faction? - I am not entirely sure what that means. Do you have any enemies? List them if you have multiple - Nope. Do you have any allies? List them if you have multiple - Nope. Can you participate in daily airdrops? (Y/N) - Yes. Can you participate in weekly conquests? (Y/N) - Yes. Are you able to keep above 24 power when logging out? (Y/N) - Yes. Why do you want to join Resistance? As one of the most unique technique pvper on Skycade stores on Minecraft, I will make sure Resistance is my main focus. I aim to provide courtesy to all players and show respect to Resistance while in the community including my commitment, dedication, and hard work, will represent us and our new members. I have defined what a true member should behave like. What makes you different compared to everyone else? - I am complete to my awareness different then other people applying for Resistance as I understand I am coming with the tough competition I will be aiming towards higher accomplishments, higher intelligent ideas, and fantastic service. Anything else you'd like to add? Nope, everything's been covered. Why do you want to join Resistance? One sentence minimum - I want to join resistance as not only is it a big faction it also consists of members with a high skill level, which I would like to think I am aswell. I know I can contribute a lot to this faction. Do you use Forge? (Y/N) - No. Do you use BLC? (Y/N) -No But I do not hack and never will because it makes the game unfair. What makes you different compared to everyone else? -I know that there are probally better people at pvp, building, raiding and more but I think I have a personality that would improve the faction and make it happier and im hoping to be able to Improve my self and the base as a whole. Base building advanced technique (1-10) Ex: Regen - 4 But definitely willing to learn. Raiding (1-10) State whether you skid or make your own cannons! - I usually skid for raids with a lot of walls but it's getting to the point where I can just build some of them. Why do you want to join Resistance? One sentence minimum - I feel I can reach my full factions potential in a faction like Resistance, and help the faction out a lot. I can grind and be making new farms or afking others or raiding whenever I am online. My potential of building farms is pretty high since my familiarity with Schemetica is decently high. What makes you different compared to everyone else? One sentences minimum - I am not the best at pvp but I am very good at planning things out in that sort of topic. Anything else you'd like to add? I can either use Forge (w/ Schematica) or BLC, my main is Forge though. I also have an alt if that helps. We are the Resistance faction. Season 11 /f top No. 2 spot. Do you have any enemies? List them if you have multiple - kamrita because he insided walmart. Average FPS - 600 or above in hub on skycade. Hours of participation during the week - 15-20 depending how much homework I get. Are you able to keep above 24 power when logging out? (Y/N) - Y? Are u still looking for members?